description and photos from arrow's "next trendsetter"
Now here is a find. This bit of information comes from a newsletter that Arrow Dynamics used to publish for the industry. 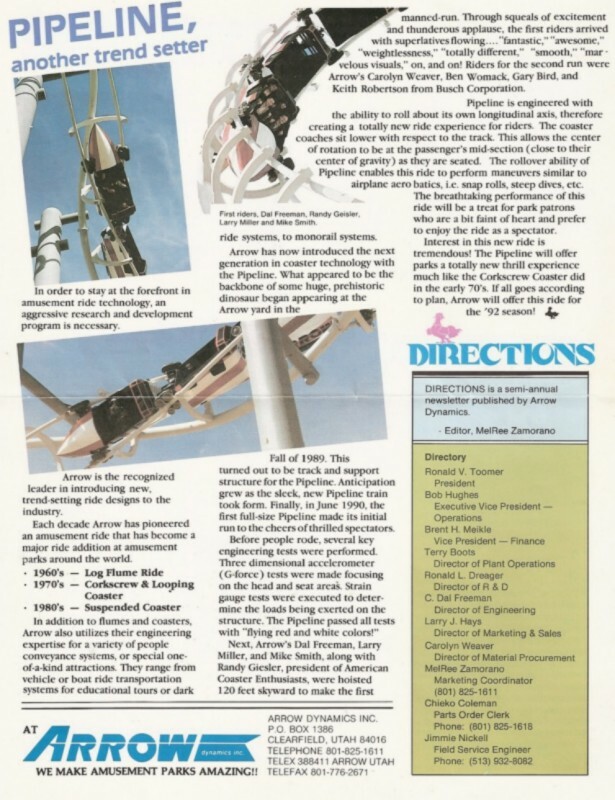 After the so-called success of the first suspended coaster Arrow Dynamics came up with this masterpiece, "The Pipeline Coaster"
I remember there was much interest for this ride. And every year at the IAAPA convention Arrow really tried to push the ride. They had the actual train on display for a couple of years. I was one of the few lucky ones to be able to ride the prototype at the Arrow plant in Utah. I don't remember much about that ride except that there was not a lift. By way of a giant crane they lifted a section of track to the start position then released the train. It then went into a rollover and dove strait to the ground, then back up, at the top you were upside down in the hang position again until it hit another rollover which returned you rightside up again. 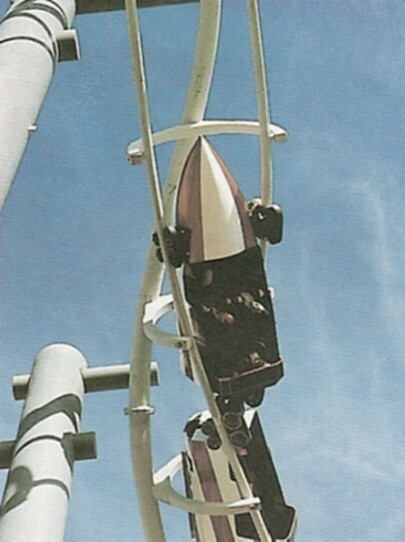 I remember it was a pretty smooth so I guess they got the heartline engineering somewhat right, but it was uncomfortable when the trains rolled over and you just hung from the restraints until gravity held you to your seat as you came to the bottom of the drop. Enjoy the reading on this infamous ride that never was. PS. If you love looking at old nostalgic amusement park stuff check out my thread that is dedicated to all the old parks, rides and fun stuff of the past. I will be updating it with old stuff every now and again so check back often. Here's a POV of the Arrow Pipeline from Coastertube. According to COASTER-net, Morey's Piers in Wildwood was going to get one, too. 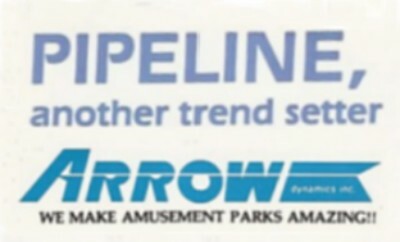 Arrow now introduces the next generation in coaster technology with the Pipeline. Here you can see where the train has just come off the start platform and begins its complete roll over to the upside down position before it dives to the ground. Hang Time, the sensation was similar to that funky dive loop on the Manhattan Express, I mean "the Roller Coaster at New York, New York". Here the train dives straight down to the ground. This whole element looks like the B&M Pretzel loop on their flying coasters. Last edited by ernierocker on Thu Nov 11, 2010 7:44 am. Wow! That's cool Shane, you're good at finding these things! It kinda resembles Viper that was a SF Great Adventure! This is really interesting. Appears quite fun too. You sure do have a library of these rollercoaster related tid-bits (the ads, Opryland, this, there's others too). The coaster in the picture I'm assuming is the prototype at a factory? Well, it's too bad not many of these were built. They don't look painful at least, maybe not offering the most amazing thrill, but they certainly look like they could have packed a punch. Looks like this is where the pipeline coaster for RCT comes from. 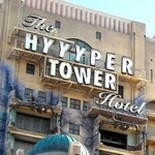 And didn't INTAMIN offer their own version of this ride too? this type never went into production did it? ^ well I guess the roll-over element was kind of like Viper's but the ride was actually more like Ultra Twister, in that the track and the wheels of the vehicle were about where your shoulders would be and the train rode in between the rails. That is a great find! It's sad that ride never made any kind of appearance in a park, but that's how it goes. Do you know exactly why interest in the ride diminshed? Costs? Anyways, why did they take it down! Arrow never quite got it to work right, and the trains were too heavy. They continued to tweak it, and majorly decreased the weight, but went bankrupt before they could sell one. hyyyper wrote: this type never went into production did it? Arrow built a few prototypes at their Utah facility. 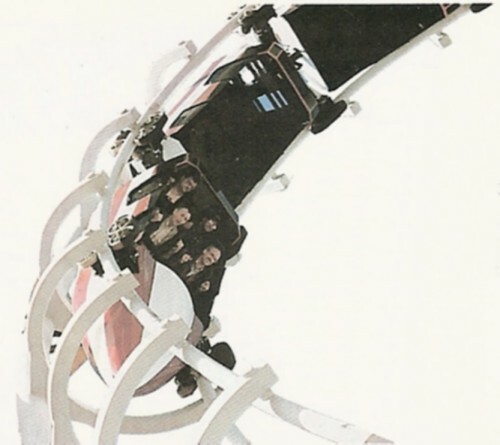 Alton Towers in the early 1990's attempted twice to build Arrow's Pipeline. SW1 and SW2 were the code names. IIRC, SW1 was shot down due to money or the Alton locals, SW2 because of Nemesis. The second time around was partially built though. Another great retro scan, montezooma! I love reading your stuff.